Germany is the third largest importer and exporter in the world. It 2016, the value of its imports and exports stood at $1.05 trillion and $1.32 trillion, respectively. The country’s top export destinations include the U.S, France, the UK, the Netherlands, and China. Its top import origins include the Netherlands, France, Belgium, China, and Italy. Needless to say, considerable money flows in and out of the country for business purposes regularly. Give the significant volume of international trade, making and receiving cross-border payments outside of the European Union entails the exchange of currencies. This usually involves losing a percentage of the money in the process. Fortunately, businesses in Germany may benefit by exploring what different overseas money transfer companies have to offer. Is Turning to Banks a Good Idea? Banks have been losing out on the overseas money transfer pie for the last two decades, and not without reason. Their exchange rates are usually less-than-favourable and the fee-structures often leave room for improvement. As of writing this post a leading German bank is offering an exchange rate of £1 = €1.0629. A top overseas money transfer company, on the other hand, is offering a rate of £1 = €1.0858. If you are to receive a payment of £50,000 from the UK, while you’ll receive €53,145 if you use the services of the bank, turning to the overseas money transfer company will result in your getting €54,290. That’s a difference of more than €1,100 just because of the exchange rates, and there are bank fees to consider as well. Some banks offer multicurrency accounts for businesses, although they tend to come with steep fees. Now, some of the top overseas money transfer companies such as TransferWise, WorldFirst, and OFX also offer multicurrency accounts. How these accounts work is basically the same. You may apply for one as a small to mid-sized business, a sole trader, an online seller, or even a freelancer. Once you open an account, you get receiving accounts, or local banks details, from different countries. For instance, you may open a multicurrency account from Germany, and get receiving bank account details from the UK, the U.S., and Australia. When your business receives a payment in British pounds, it goes to the corresponding GBP account and no exchange of currencies takes place. 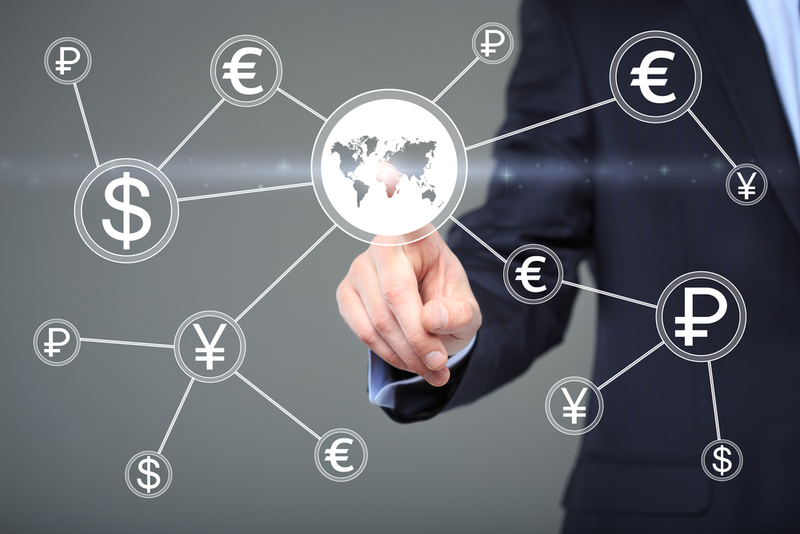 With most multicurrency accounts, you may hold funds and make and receive payments in various currencies. If you open a TransferWise Borderless account, you get local bank account details from the UK, the U.S., Europe, and Australia. The WorldFirst World Account comes with receiving accounts from the UK, the U.S., Canada, Europe, and Australia. OFX provides receiving accounts from the UK, the U.S., Canada, Europe, Australia, and Hong Kong. How you may add funds to your account depends on the company you select. However, all give you the freedom to decide when you want to withdraw funds into your local bank account. Some of the top overseas money transfer companies give you the ability to make the most of exchange rate fluctuations by offering hedging tools such as forward contracts and market orders. With a forward contract, you may buy or sell a currency at a predetermined rate at specified time in the future. With a market order, you may choose to buy or sell a currency when the exchange rate reaches a desired level. No matter whether your business needs to make or receive cross-border payments, turning to a specialist overseas money transfer may work better for you than a bank. Not only can you save some money, you get to streamline the process too.